Discussion in 'PS1 News' started by STLcardsWS, Mar 30, 2015. All my lastest hacks from PVB version + the old ones, obviously. Note all the new playable rooms are ported from my old RE2 (PC) 1.5 Mod. Some of them are accessible from DEBUG MENU only. Most of them are in beta state, maybe I will consider to improve/fix them in the future. Changed DXP's old RPD Lobby (Era 1) by his new version. Sewer's Generator Room (208) added (only accessible by Debug Menu). Fixed floor in L TUNNEL FLOOD (20B). Alligator Entrance (302) added (only accessible by Debug Menu). Factory's Office B (30C) added. Laboratory's Elevator Hall (50B) added. Rusty's Grant Bitman (PL0B) added. Fixed a small problem during John in Prisons cutscene. SeiyaKou's Cell Cultivation (40B) room added. Fixed/Updated steps sounds from several rooms. Fixed steps sounds from zombies in some rooms. Added my improved "Factory Corridor" cutscene. Added new versions of my improved "Arrival to Factory" cutscenes! Added new version of my "Roy in Interrogation Room" cutscene reconstruction. Added new version of my "John in Prison" cutscene reconstruction. Added new version of my "Arrival to Sewer (Leon)" cutscene reconstruction. Added improved ALIGATOR ROOM, I fix steps sounds and also I add spiders! Changed re-direction from ROOM306 to ROOM302 after "secret entrance" cutscene (as it should be!). Changed zombies by cerberus in B1 CORRIDOR (Light). Fixed some texts in some rooms. This means that RPD have all rooms now, however, I can't program elevator to work properly, yet, so you should to use the staircase. New DXP's ROOM203 backgrounds was added. A sample panel puzzle for ROOM110 was added. Some weapons animations was fixed. All colission bugs of rooms I ported from my old 1.5 project was fixed. ROOM109 lower part was fixed (however, upper part is unavailable now). ROOM10A stairs UP-DOWN mechanism was replaced by open door sequence (due to bugs). 2 SeiyaKou's hacks was added (colission fixes for ROOM121 and ROOM30E). Small .RVD (camera switch data) bug in ROOM105 was fixed. Ada by Grant Bitman (Juvenal-_1945 version). Irons by Grant Bitman (David Silva version). Roy by Leon with jacket (Mrox2 version). After download it, extract the "RE1.5 (MZD).7z" file and use "xdelta" to apply the patch to the "BH2.bin" file (for more information, look "HOW_TO_USE_XDELTA.PNG" image!). Done! you can play now! Team IGAS for his MZD build. mortician for his unhidden patch. Wes67 for create kindly a rebuilder tool for me. DXP for work hard and create all the missing rooms for the RPD and for his ROOM203 backgrounds reconstruction! MarkGrass for his BIOFAT and BioHerb tools. Leo2236 for his BSSM and RE2MV tools. Mrox2 for help me with some dialogues in my cutscenes reconstruction and for let me use his Leon with jacket PLD. futuretime23 for make the PRISONS (123, 124, 125 and 126) RDTs. Mikhail for help me a lot in the beginning and also, for made the "Character modifier" and "Select player screen modifier" codes! 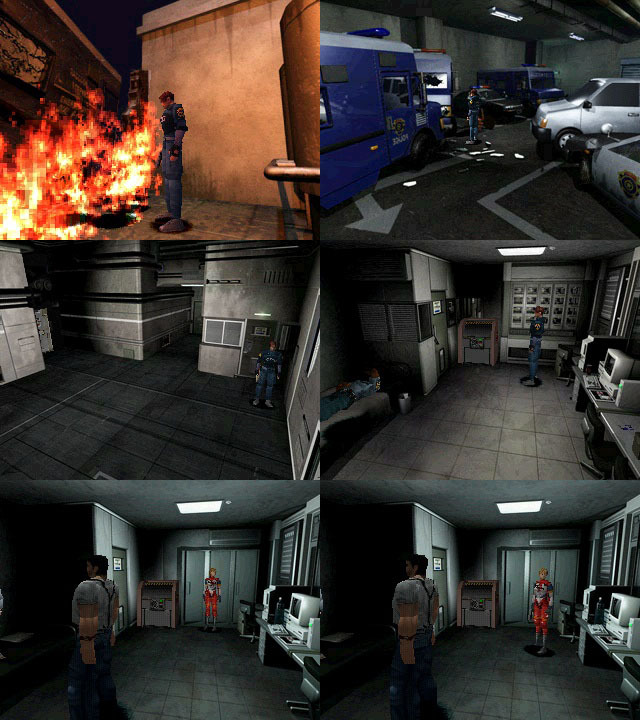 MonkeyMan2000 for his Resident Evil 2 BCC tool. David Silva for let me use his Grant Bitman PLD. Juvenal-_1945 for let me use his Grant Bitman PLD. SeiyaKou for let me use parts of his work. Rusty for let me use his Grant Bitman PLD. Awesome been a while since I have seen a new patch. Had almost forgotten about it. I wonder how the remake is going that was greenlit by the team at Capcom? Anyhow time to burnout the ole SCPH-5501 for some fun!! Whoa, this is really cool. VitaShell is a file manager, package installer, built-in FTP and much more.